Israeli ministers discuss the possibility of widespread rallies in support of the Palestinian plan to ask the UN to recognize an independent Palestine. Israel’s security cabinet held a meeting to discuss the issue on Wednesday on the orders of Prime Minister Benjamin Netanyahu, AFP reported. 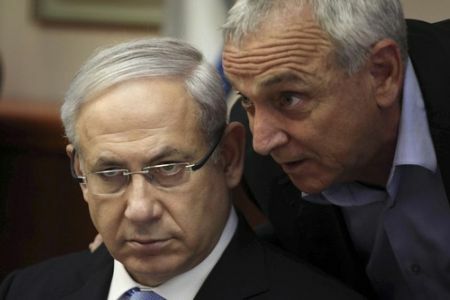 “The ministerial committee on security held a debate ahead of likely events in September in light of the Palestinian leadership’s intention to declare statehood at the UN,” Netanyahu’s office said. The Palestinian Authority is to formally present the UN Secretary General Ban Ki-moon with the request for membership in the world body on September 20, when the UN General Assembly is holding its 66th session. “The ministers heard reviews by security officials and their assessments of the various consequences of possible events on the ground in the field,” the premier’s office noted. Israel’s Ministry of Ministry of Military Affairs has paid around USD 22 million to purchase so-called ‘crowd dispersal’ weaponry to confront expected protests. The military claims that the need to purchase the arms was felt earlier in the year, when its forces confronted rallies against the military-propelled creation of Israel in 1948 and its occupation of more Arab lands in 1967. Israeli forces brutally attacked the protests, killing tens of the demonstrators.